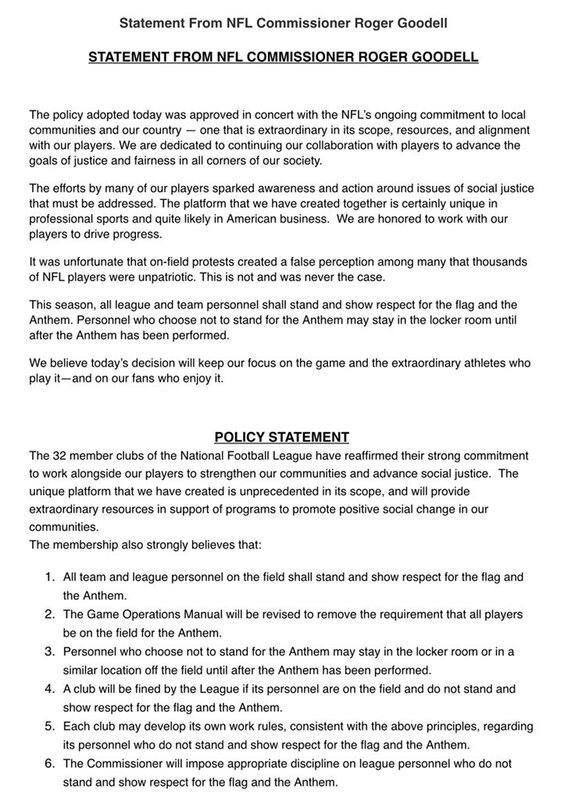 In the new ruling, NFL players who come onto the field are required to stand for the national anthem, or the team will be assessed a 15-yard penalty. 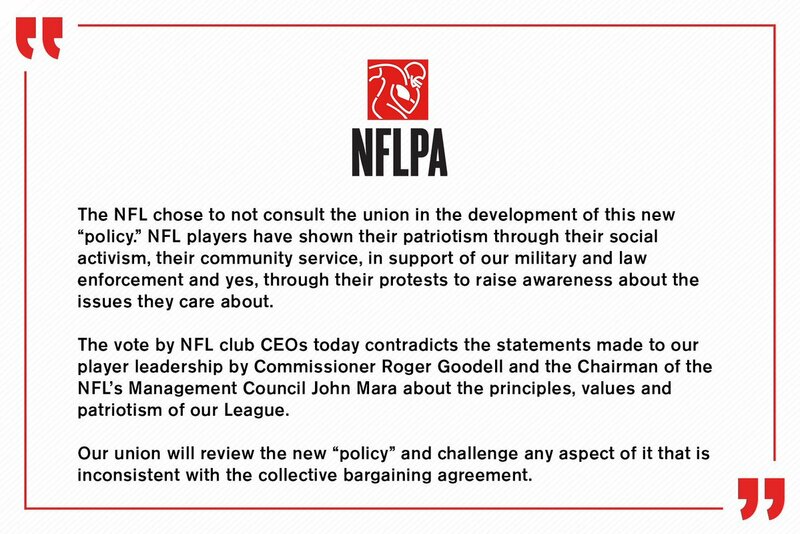 However, players and personnel who choose not to stand for the anthem can remain in the locker room until the anthem is performed. Wetin concern me & NFL?